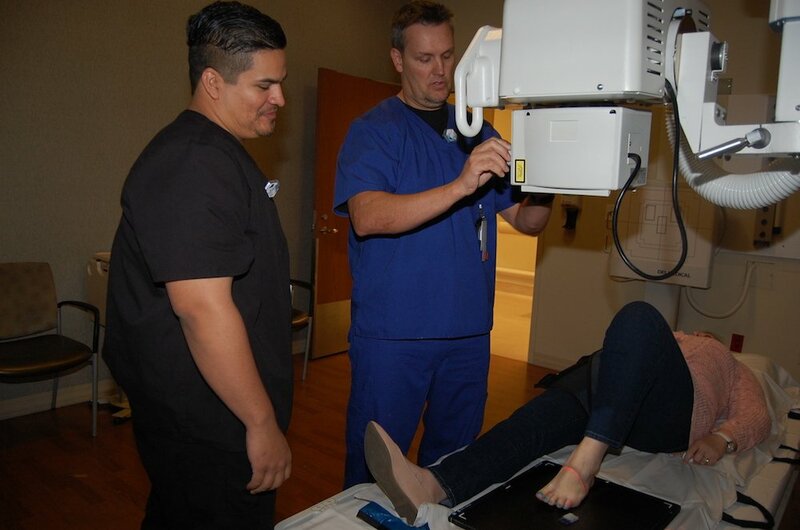 We provide a full range of radiology services to help diagnose and treat numerous medical conditions, including heart problems, digestive issues, nervous system disorders, sports injuries, arthritis, osteoporosis and back pain. We are committed to service excellence and patient satisfaction. Our standards for quality are high. The department is built on competence, teamwork, innovation and service for our patients. We are committed to providing the best patient care. Patient safety comes first! For more information, scheduling and pre-procedure instructions, please call 951-769-2142. Mammography is accredited through the American College of Radiology. Before undergoing any radiology procedure, you should be sure your physician is aware of any allergies and all the medications you take, including over-the-counter drugs, vitamins and herbal supplements. Your doctor may ask you to stop taking certain medications for one or more days before the radiology procedure. Please let your physician and the radiologic technician know of any stents, pacemakers and other metal devices you have, as they may make certain procedures inappropriate. Simple bone or chest x-rays require no special preparation. Some tests, such as those that look at the digestive tract, require a special diet or fasting. Other tests may require the use of a contrast liquid that is either taken by mouth or is injected before the procedure. Women who may be or are pregnant or breastfeeding are advised to notify their physician or technologist before having any radiology procedure. The radiology team is led by a radiologist, technician and nurse, and sometimes a medical physicist is included. A radiologist is a physician who interprets the results of tests, performs certain procedures and consults with other physicians. All of our radiologists are board-certified with the American Board of Radiology. Technologists perform the tests such as x-rays, computed tomography (CT) scans, nuclear medicine, mammograms and ultrasound procedures. Medical physicists test our Diagnostic Imaging equipment. Medical physicists are certified by the American Board of Radiology or the American Board of Medical Physics.